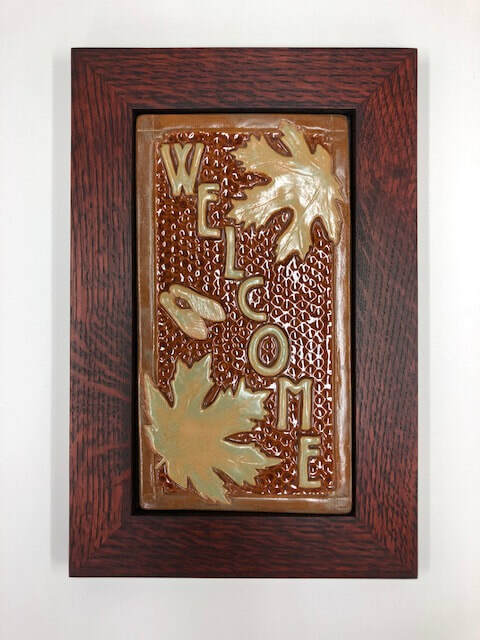 Welcome to the Family Woodworks LLC online store. Feel free to browse our site and look at all the items we have to offer and if you have any questions, please contact us! We have recently added new artists, Thomas and Sarah Gelsanliter, of One Acre Ceramics. We will be offering their beautiful hand-made tiles in our Cherry Park frames and we will also be adding their coffee mugs and vases. You will definitely want to get your hands on these outstanding and unique pieces of art that you can use everyday! You won't want to miss the deals in our "Clearance Frames & Overstock Items" section. Be sure to purchase the frame or art piece that will work for you while it is available. Supplies are limited. 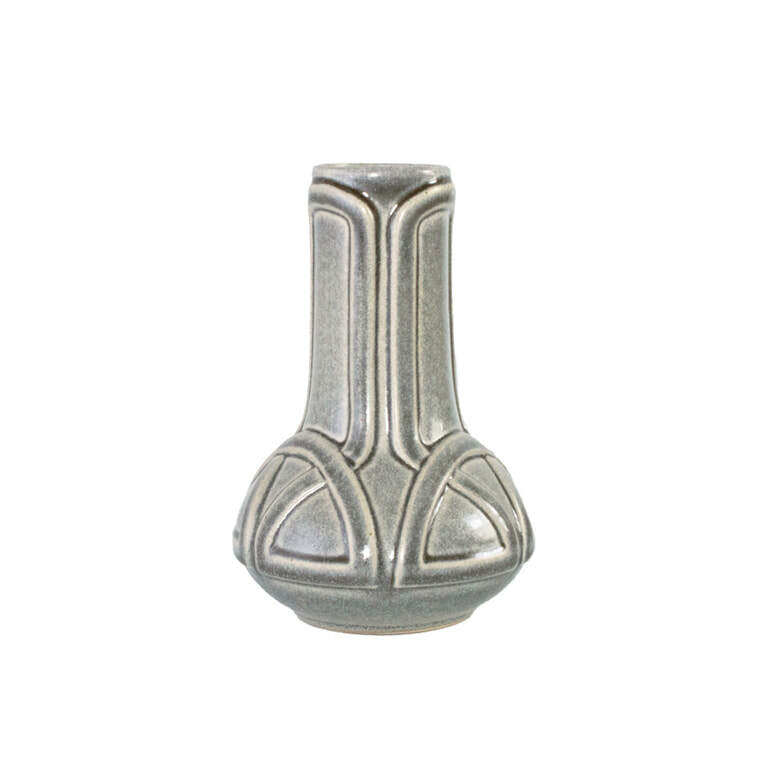 Take a moment and check out our framed Pewabic art tiles and the new Pewabic vessels that we now offer. All items are in stock and ready to ship! 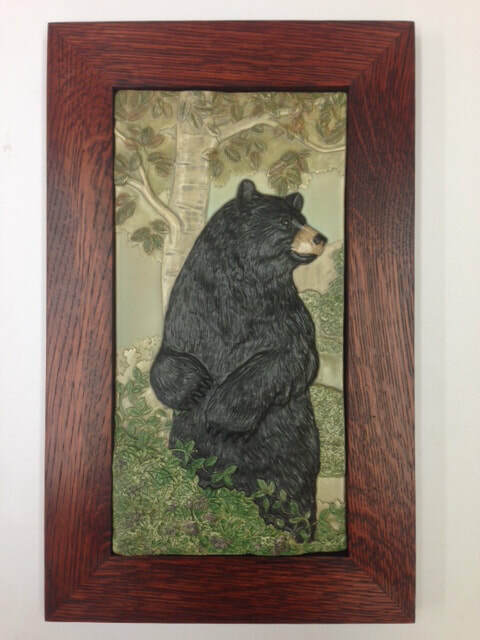 You will also want to look at all the beautiful handmade framed tiles that we have for sale! All framed tiles are in stock and ready to ship! 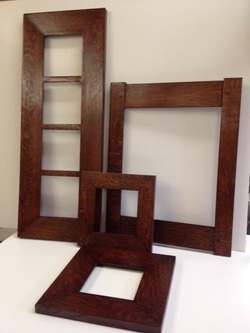 Pictured are the four different samples of our frame styles that we offer. Please do not hesitate to let us know of any custom sizes that you may need. 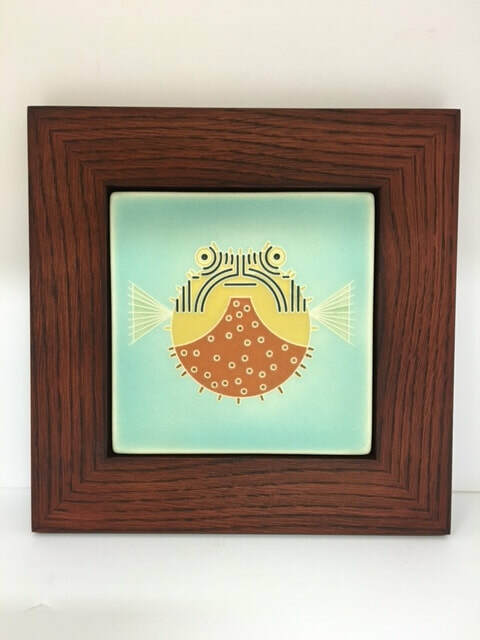 We specialize in making those hard to find sizes to fit that prized art tile that you have or a museum quality frame for that picture or painting that you cherish. Our frames are constructed of Premium Quartersawn White Oak wood or from Cherry wood, whichever you would prefer. Our Oak finishes include; Signature Red, Nutmeg Brown, Golden Oak, Dark Walnut and Ebony. Our Cherry finishes include; Signature Red, Ebony and Natural. We also offer many different types of framed tiles! Whatever your need, we look forward to working with you soon! We are a family owned custom woodworking business in southern Ohio. My son, Wil, and I specialize in custom Arts & Crafts style picture and tile frames. We have been providing picture frames for the Arts & Crafts enthusiast for over 20 years. We also provide quartersawn white oak frames for several dealers across the country and ship our products worldwide. If you are interested in becoming one of our wholesale dealers please let us know. We also design and sell kitchen and bath cabinets, custom countertops & hardwood flooring along with many other products. We would love to hear from you and look forward to working with you in the near future. Feel free to give us a call at (740) 289-4369 or e-mail us at familywoodworksllc@gmail.com.